Thanks to velobuff on Modern Buddy for the link. Amazing. Mike Hickman from Alliance Powersports let us know that new SYM HD200s, Symba, and Fiddle IIs have arrived in the U.S, and the promising Wolf motorcycle is on the way. This is great news, SYM is a great manufacturer and we’re happy to see them making a comeback. SYM’s distributor network and web presence definitely needs some clarification, but we’ll take any baby steps we can get. So the 2012 HD 200 EVO with the disc brake, powder coated black forks and rims along with stitching in the seat to match the color of the bike, Awesome!!! The 2012 Symba and Fiddle 11 have also arrived, and the much anticipated Wolf Classic 150cc is on the water with an arrival date of just after Labor Day! Let’s get this party started! Ride Safe! 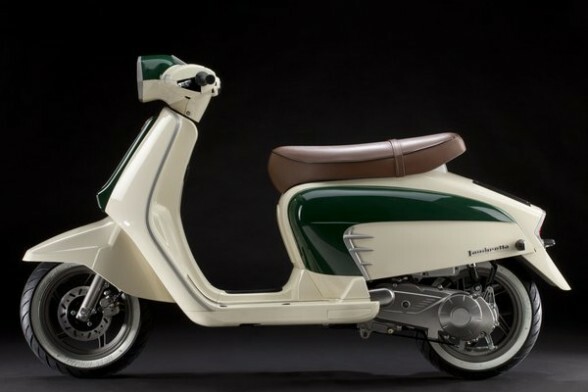 Scooter Infos (Pictures) and Scooter Station report the new Lambretta LN 125 was unveiled in Paris this morning, and will be on sale in France in August. They confirm it’s built by SYM (with a SYM Fiddle engine and some Italian parts) which is good news, quality-wise, but probably bad news, U.S.-distribution-wise. The European distributor is Mooof in Belgium. On April 13th, Lance Powersports published an open letter to SYM owners explaining the current SYM situation. An Eastern-U.S. distributor has still not been named, but Lance’s new sister company, Alliance Powersports, will handle left-coast distribution and has taken over SYM parts and warranty service nationwide. SYM owners should contact their dealer for parts and service, dealers should contact Alliance for parts/warranty support. Lance/Alliance National Sales Manager Mike Hickman also tells us that Alliance can supply new bikes to Eastern dealers until an Eastern distributor is named. The full letter and Hickman’s contact info follows. You will see a renewed passion for this wonderful line of scooters, supported with wonderful customer service including parts support, tech support, and an attention to detail that we believe was missing from the previous distributor, Carter Bros. The memo promises Lance will stock “a limited amount of scooters/parts” “very early in 2011” and will build up their inventory going into the spring and summer. 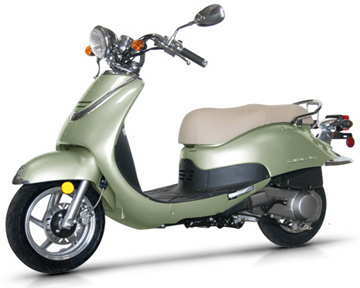 Piaggio/Vespa and other distributors have tried regional distributors in the past with mixed results. If memory serves, Derbi and Kinetic had regional U.S. importers as late as the early 2000s. A regional approach seems a bit anachronistic and overcomplicated today, but we look forward to seeing what Lance can do to get SYM back on track in the U.S.
UPDATE: As of early January 2011, Lance has allegedly notified dealers they’ll be taking over the western U.S. from Carter Brothers. Mike Hickman, National Sales Manager of Lance Powersports, contacted us regarding the rumors that Lance will replace Carter Brothers as SYM’s U.S. importer. Wow! Then again, this might actually turn out to be a step up from Carter Brothers. On July 27, Scooter Superstore of America, a Ft. Lauderdale-based chain with several dealerships in Florida and Georgia, filed for bankruptcy. While many shops have closed their doors lately, and individual importers have faced some unique problems, SSTAM’s trouble could be–pardon the tired idiom–the straw that breaks the industry’s back. Guido Ebert reports SYM USA is auctioning 110 scooters, in various states of title… ed… ness. It’s unclear from Ebert’s story where these 110 scooters came from, but as we’ll discuss in detail in a coming story, in the rapidly-declining scooter market, most scooter importers and their dealer financiers (usually GE Capital) are finding themselves with large numbers of scooters returned when dealers default on financing, considering the title situation, we’d bet that’s the source here. Steve at the Scooter Scoop worked for SYM-USA for a few days, so we’ll defer to his ex-insider-coverage of the fire at Carter Brothers’ Alabama headquarters. Glad to hear everyone’s allright, but man, that’s bad news for SYM, Carter Brothers, and scootering in general. Guido Ebert wrote a story last week alleging that all is not well with the SYM/Carter Brothers relationship for which he was instantly chastised. Sound familiar? I know Vespa rudely scheduled their dealer meeting in California the same weekend as Genuine’s dealer retreat in Wisconsin a couple years ago, but it doesn’t seem sporting to schedule the grand opening of the redesigned Scooterworks Chicago space the same day as Motowork’s North Avenue shop opening. I’m not sure who called dibs on the date first, but if I can’t go to both, I’m not going to either. Even if one of them books Jay Leno.